If you’ve been dreaming about starting or expanding your real estate portfolio, but you think you can’t afford it, you’re going to LOVE this 3-hour seminar. This real estate investing seminar has helped average income earners become millionaires and escape the “rat race.” NO GET RICH QUICK SCHEMES! 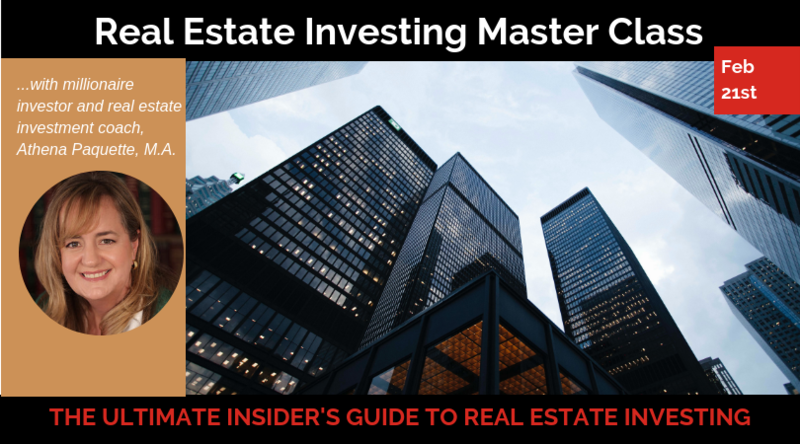 I give you the knowledge and the tools that will help you think like a successful real estate investor. 3. My “Easy-Does-It” math, so you never feel overwhelmed by the numbers. 4. Investor “lingo” so you’ll be taken seriously by other investors, lenders, and real estate agents. 8. Discover your level of risk and the best investments for you! This class is great for you if you’re a beginner or intermediate investor. Please join me. Your investment in the class is only $39 and the knowledge you’ll receive will last a lifetime!